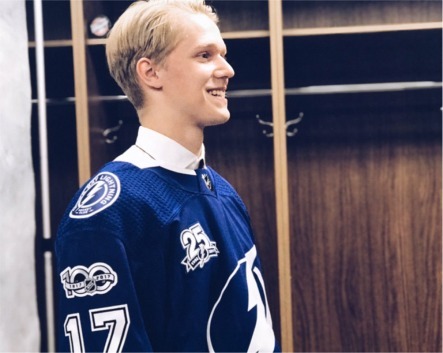 New Colt, Alexey Lipanov drafted by Tampa Bay. #OHL #NHL - Very Barrie Colts | A website covering the Barrie Colts of the OHL. Yesterday, Alexey Lipanov was signed by the Barrie Colts who drafted him last year at the CHL Import Selection Draft. Today, he was drafted by the Tampa Bay Lightning. The newly signed Colt was picked with Tampa’s 76th pick of this year’s NHL Draft being held in Chicago. Congrats to Alexey on a great last 48 hours!